DAWs work in 32-bit floating point resolution, which means they’ll let you get away with murder as far as gain-staging goes. Placing a clipper first in the chain simulates how analog gear responds to peaks; come in too hot and it shaves them right off. Keep in mind that if you’re gain-staging properly, you should only be clipping off a peak or two across the whole song; this is just a safety to catch the big spikes. Vocals and sustained instruments shouldn’t be anywhere close to clipping; as such, I only use this on percussive tracks such as drums & slapped bass. 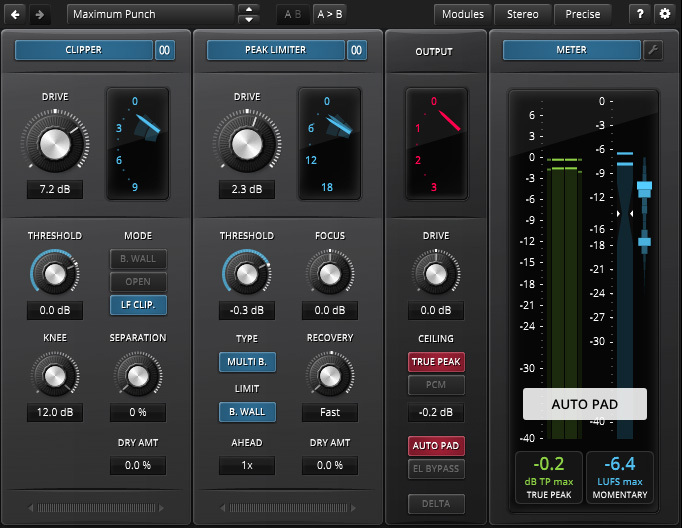 Limiter 6 is an incredible plugin, and a full-fledged mastering tool in its own right. Here, I’m just using one of its modules to clip off incoming peaks. You can tune it to focus on LF & HF content, and you can set a soft or a hard knee as desired; I usually set it to a -6dB threshold with a 2db knee. A VU (or PPM) meter is the next step in the path. It has zero impact on the audio, but it’s a powerful tool to gain-stage your mix via the clip gain (before it hits any plugins). 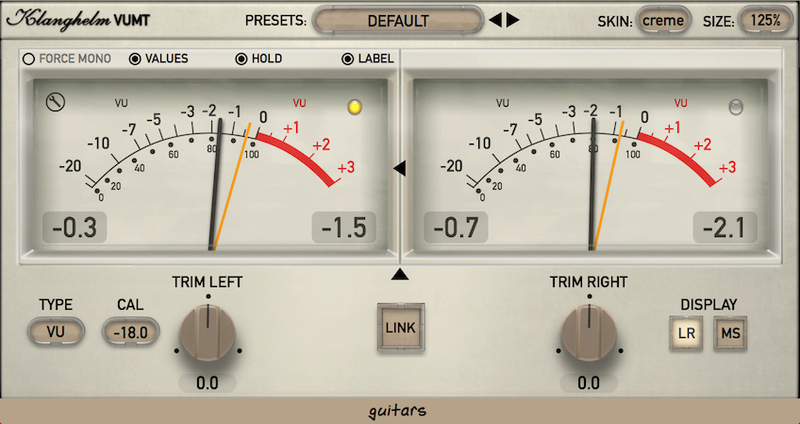 I wrote pretty extensively on using meters to gain-stage vocals & drums, so you can check out those posts for more. Here, I’ll just say that VUMT is an incredible plugin, and it should be in everyone’s DAW. Tape, glorious tape! For all that’s been said in praise of the stuff, if you're gain-staging correctly it’s pretty subtle on individual tracks; this is an element that begins to show its character once it’s stacked across the mix. Depending on the tape & speed, it can add low end, enhance the highs, roll off the air, and add some gentle saturation & mix glue. There’s no lack of tape emulations on the market right now; Waves, Slate and CDS are all great options. But I wanted DSP (not convolution), and I love how Satin lets you get under the hood; you can tweak every possible setting while viewing the sonic impact on the analyzer. 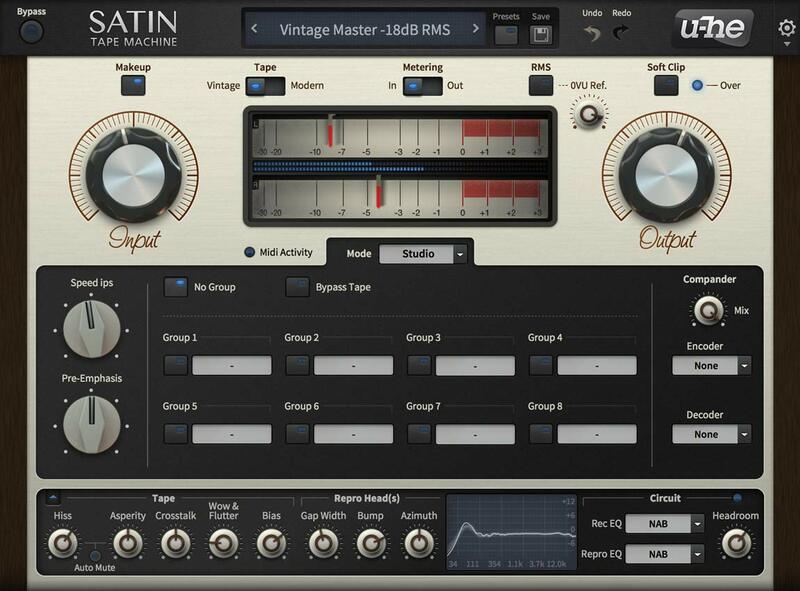 It’s also got the incredibly useful feature of groups; you can create one machine for your master, one for your drum tracks, one for your instrument tracks, and change them all with one knob. It’s a powerful tool for hearing how your changes impact several tracks at once. The clipper recreates the headroom of a console, and the meters recreate the visuals; in this stage, we’re recreating the tone. 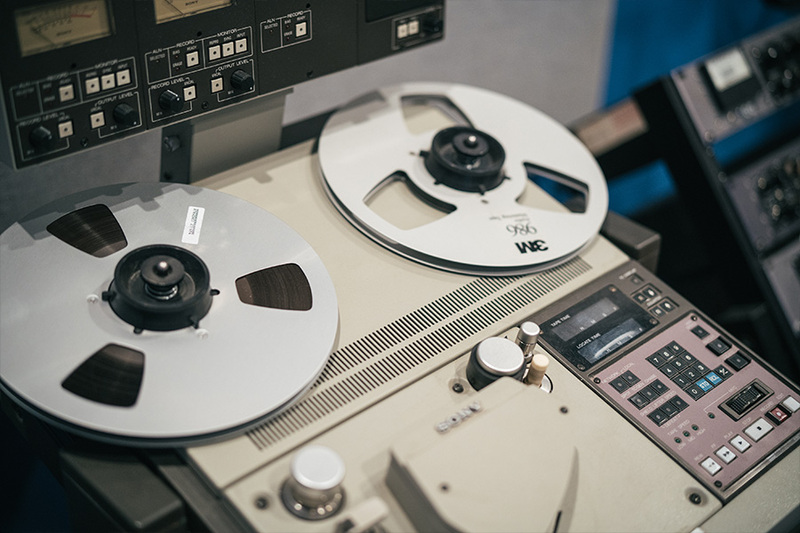 Vintage consoles add some subtle distortion to the mix as audio passes through their transformers & amps; like tape it’s hard to notice on a per-track basis, but it adds up across the mix. 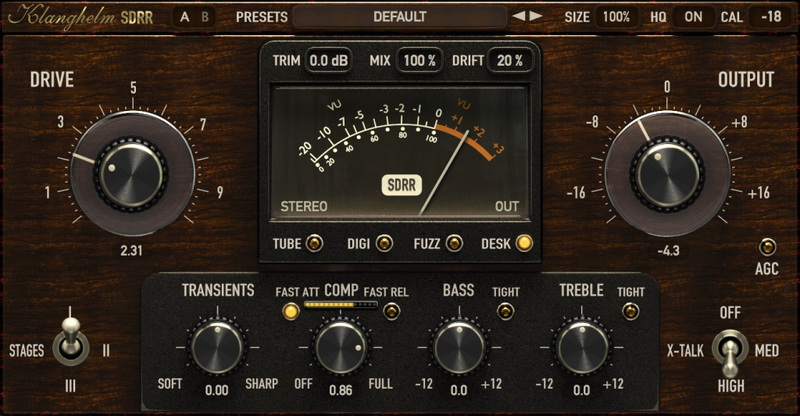 There aren’t a lot of plugins that can do convincing saturation; SDRR is one of the few pieces of software that’s gotten high praise from the analog crowd. And it’s much more than just a console emulator; it has several other modes that can create some pretty drastic distortion effects. But for this use, I’m putting it in desk mode and leaving the drive control very low (1-2) with drift at 100% to add just the slightest touch of warmth. If a track needs heavier saturation down the road, I may come back to this stage and crank up the drive for effect; for now, we’re keeping it subtle. From there you can add your EQ, compressor, and effects and begin mixing as usual. Whenever I’m looking for an analog vibe, I set up this chain on all my tracks before I start any mixing (that way I’m not compensating for any changes in tone down the line). And there you have it; a plugin chain that recreates the analog signal flow and adds some subtle warmth & saturation across the entire mix.